A Hopi inspired Pueblo that is a unique treasure to the Coachella Valley, located in the heart of Desert Hot Springs. The Museum is close to Joshua Tree, Rancho Mirage, Palm Desert, and Palm Springs. This Southern California landmark is within 10 minutes of the exit from the 10 Freeway. Built by Cabot Yerxa (b. 1883) on property he homesteaded in 1913, he worked on the property until his death in 1965. 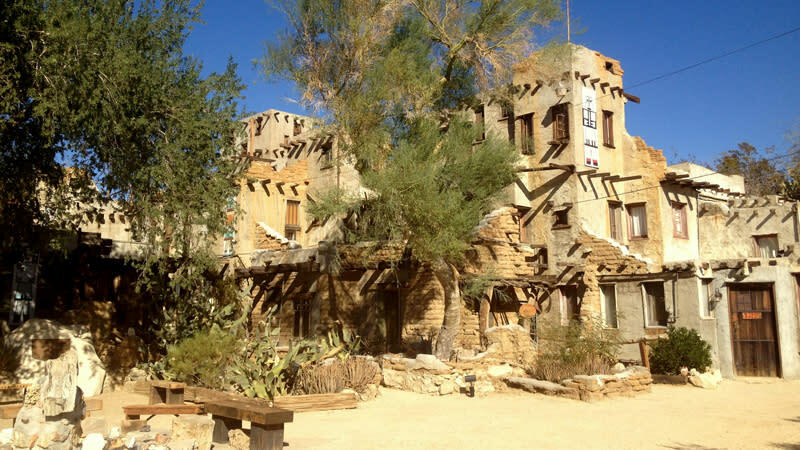 Cabot journeyed through the desert; gathering reclaimed materials for 10 years; from as far east as the Salton Sea, north to Morongo Valley, south to Palm Springs and west to White Water. The structure is hand made, created from reclaimed and found objects. 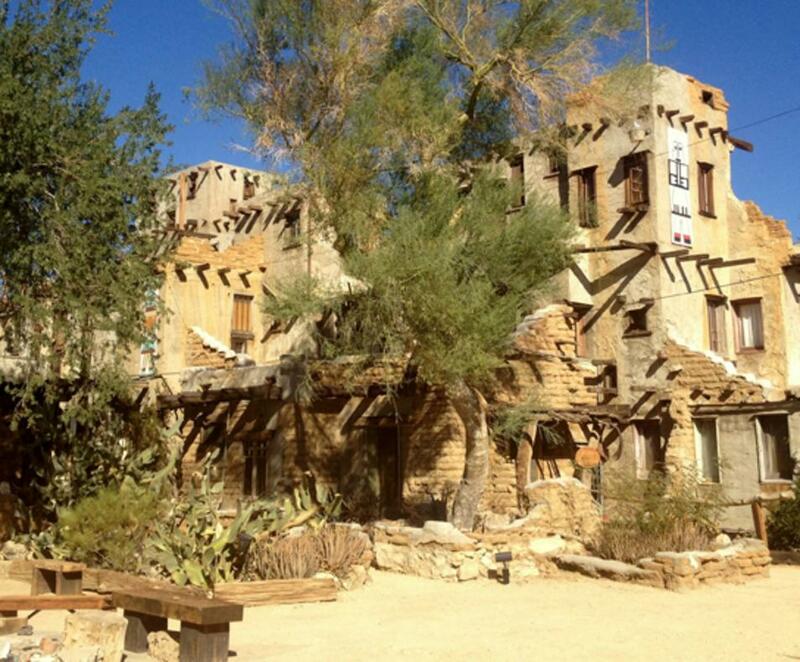 The Pueblo is four-stories, 5,000 square feet and includes 35 rooms, 150 windows and 65 doors. Visitors will notice many unique features: including windows and doors collected and reassembled from abandoned homesteads, old telephone poles, buck board wagon parts, and many other materials used creatively. **Please note: During the summer months, guests are advised to be prepared with plenty of water and sunscreen. Guest Hours: Tue-Sun 9 a.m. to 4 p.m.; Tour Times: 9:30 a.m., 10:30 a.m., 11:30 a.m.. 1:30 p.m., 2:30 p.m.